KITTNER Anlagen- und Maschinenbau will be exhibiting at this year’s SÜFFA Trade Fair in Stuttgart from 21st till 23rd October 2017. The exhibits will be presented to the international visitors at hall 9 stand 9B31. SÜFFA is the only specialized meeting point for the butchers’ trade for small and medium enterprises from Germany and other countries. Since 1984 SÜFFA is offering to the meat trade balanced combination of production and sales exhibition areas. The interesting fact about this event is that KITTNER will be co-exhibiting with three companies – Geissler service, Intech and Koch at a stand with total area of 128 square meters. 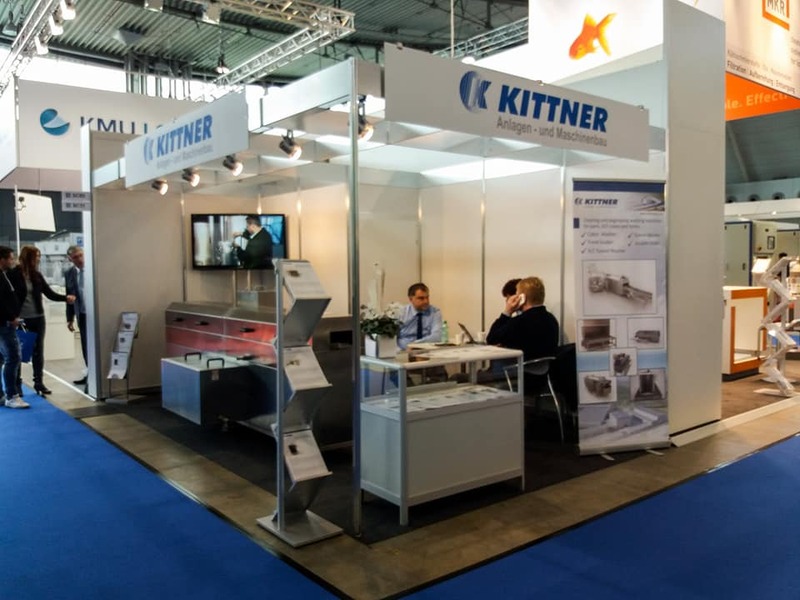 KITTNER is becoming part of the trade fair by exhibiting four of its machines: Lifting and tilting machine for Euro – crates 2421310, Lifting and tilting machine 2421102, Compact hygiene station 2163102, Washing machine for 200 l buggy and 630 l container 2232111.